There are many wigs on the market today, some good, some bad and some just plain ugly. 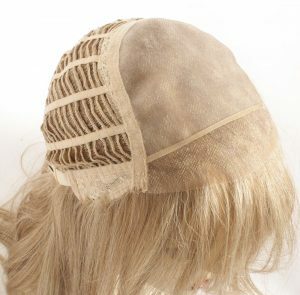 Unfortunately not all wigs were created equal and to an untrained eye may appear to be good quality when in actual fact after a couple of wears the cap is stretched out of shape and the fibre is fraying. Let us help take the guess work out of choosing the right wig. Starkles Australia stock only the highest quality medical and fashion wigs and our professional team can give advice not only on products but wig care as well to help keep your wig looking its very best. Remember the only wig you will ever notice is a bad wig….. The first decision you will need to make is whether you go for a wig made out of human hair or one made out of synthetic fibre. Fibre gets damaged when exposed to heat e.g. can’t use a straightening iron or hair dryer etc. Machine Made Caps are the simplest cap type produced and therefore the least expensive. Hair wefts are attached to a pre constructed base and the hair is pre teased at the crown to give it lift and volume. Monofilament Caps (Hand Tied) are made from an ultra-fine mesh fabric that blends with all skin tones. This fabric also allows for excellent ventilation and light to shine through. Individual hairs are hand tied to the thin material giving the appearance of a natural scalp. This cap construction allows for versatile styling as hair on the crown can be parted in numerous directions. Monofilament also known as hand tied wigs are the most comfortable and natural on the market today. Perfect for sensitive scalps. Whether you are seeking exceptional comfort due to hair loss or scalp sensitivity, or incomparable stylishness to satisfy your inner fashionista, a monofilament wig will give you the look and feel you’ll love to wear. Highly recommended for hair loss. 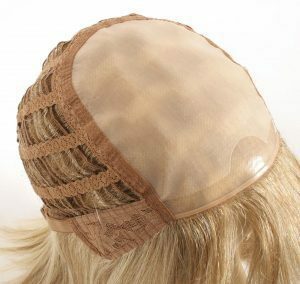 Lace Front Caps have a very thin, transparent mesh trim around the hairline of the wig and hairs are individually tied to it giving the appearance of hair growing from the scalp. The mesh generally runs from ear to ear and temple to temple. 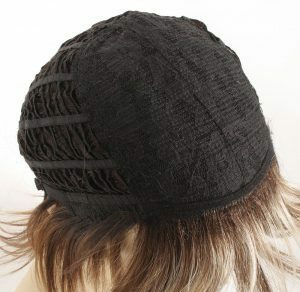 This type of cap construction can be delicate and should be treated with care. 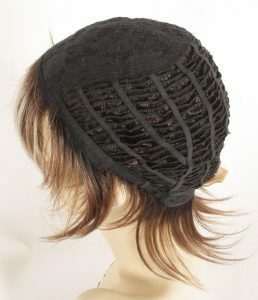 Size – Most wig caps are made to a standard size, although there is some variance between brands. 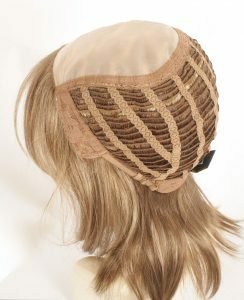 All wigs have adjustable straps to ensure the best fit. Colour wheels can be purchased. This is not the best option as they are expensive (up to $40 per wheel) and only act as a guide with small pieces of colour. If you find the above options not suitable and would like to order a colour wheel it is an option. Soak wig / hairpiece approximately 10-20 minutes (do not rub or scrub). WARNING: Do not use hair dryers, curling irons or hot rollers on synthetic wigs & hairpieces. Avoid exposure to direct heat such as: ovens, BBQ grills and outdoor heat units as this will damage the fibre. Store wig on a collapsible wig stand – Ideal option as this will allow it to retain your natural head shape. How to choose a wig that compliments your face shape. Different style wigs will suit different face shapes. To help assist you in selecting the best wig that’s right for you first determine your face shape below. Description: Your forehead, cheekbones, jawline & chin are proportional and balanced. The length of your face is longer than the width. Best selections: Because everything’s so balanced the oval shaped face tends to look good in almost any style. Avoid: Best to avoid styles with heavy fringes as this will add weight to your face. Description: A round face can be described as short and broad with rounded contours. 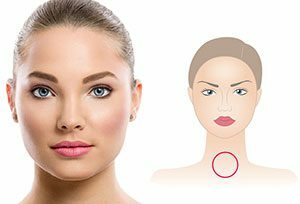 The widest part of a round shaped face is at the cheeks and ears. Best selections: Styles that add height to the top of the crown, but not at the ears are best suited to the round face shape. You can wear styles with layers and wispy directional fringes and wigs with an off centre part. Avoid: Wig styles with hair longer than chin length, wigs with fullness at the sides of the ears and very short pixie styles. 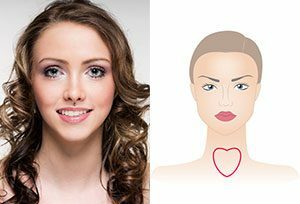 Description: Your face shape has a broad forehead and cheekbones as well as a wide strong square jawline and equally square hairline. 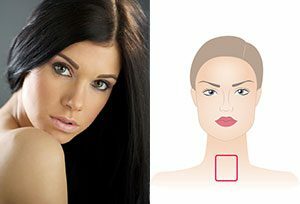 The square face shape is about as wide as it is long. Best selections: Short to medium length styles that help to soften the angles of the face. Wigs with layers and wisps of hair around the face, off centre parts and height at the crown are all very flattering features for this particular face shape. Another suitable style is the layered bob that sits above or below the jawline. Avoid: Wig styles that are long and straight, centre parts, straight fringe, straight bobs that sit on the jawline. 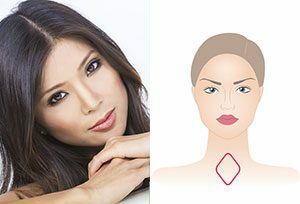 Description: Diamond shape faces have a narrow chin and forehead with wide cheekbones. Best selections: Most styles will work with your balanced face shape. If you want a short style be sure to choose one that has weight in the nape area as this will balance the cheekbone and chin areas. Avoid: Diamond face shapes can wear just about anything. Description: The heart shape face has a wide forehead, eye and cheekbone area along with a delicate pointed chin, reminiscent of an upside-down triangle. Best selections: A chin length bob or a wig with longer, subtle layers are flattering on a heart shape face. Side pated styles, wigs with wispy fringes and shorter styles with weight at the back of the nape area are best suited. Avoid: Wigs that emphasise the upper face. Short full styles with tapered necklines will give the appearance of more longer and narrow chin. 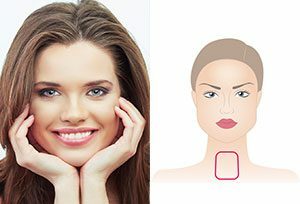 Description: Your face shape is charactered by a narrow forehead with a wide chin and jawline. Best selections: This face shape looks best with full layered styles that create width at the forehead and temples. 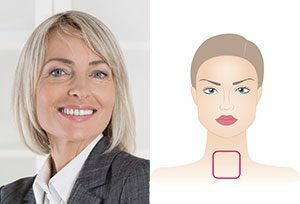 Avoid: Styles that are long and full, placing emphasis on the jawline. 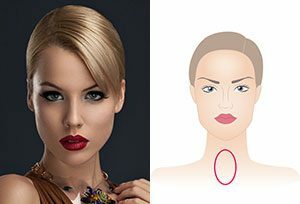 Description: Oblong faces are narrow from the forehead through the cheekbones to the jaw line. Your face is longer than it is wide giving a slender appearance. Best selections: Choose a wig that adds width and fullness at the sides. Wigs with any style fringe are flattering as well as shoulder length or shorter wigs with longer top layers. Wigs with side parts are also a good choice. Avoid: Long styles, centre parts and wigs with too much height.